Well the first week of Dreadtober is finished and things are going ok for me. I've decided to build the Onager as a series of sub-assemblies for painting and have made a start on painting most of the bits. 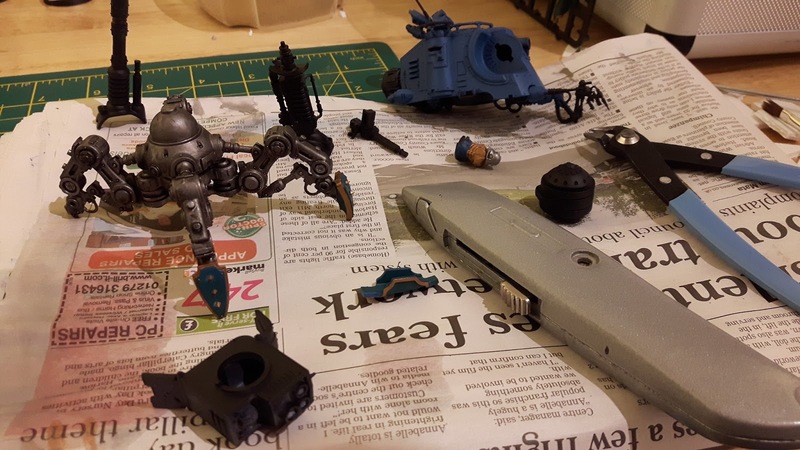 I've even managed to finish painting a couple of the smaller parts! 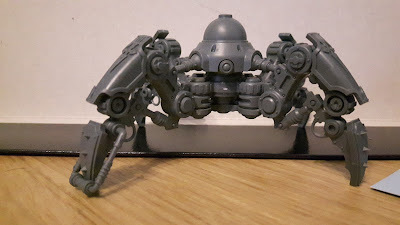 As with most modern plastic kits, the Onager is a joy to build. The components fit together nicely and there are very few mould lines. You may just be able to see from the picture above that I've built both the neutron laser and the eradication beamer as weapon options. I have drilled and inserted magnets behind the weapon housing so that I can pick and choose. If I get the chance I will also magnetise the heavy phosphor blaster, but realistically I would probably always use the eradication beamer instead so it seems a little redundant! I've noticed that a lot of people tend to magnetise the weapon barrels instead of the whole gun chassis. In my experience this tends to make things a bit wobbly on the tabletop and if you aren't super careful it can lead to some very wonky gun barrels. Nice legs! Just test fitting the armour panels. 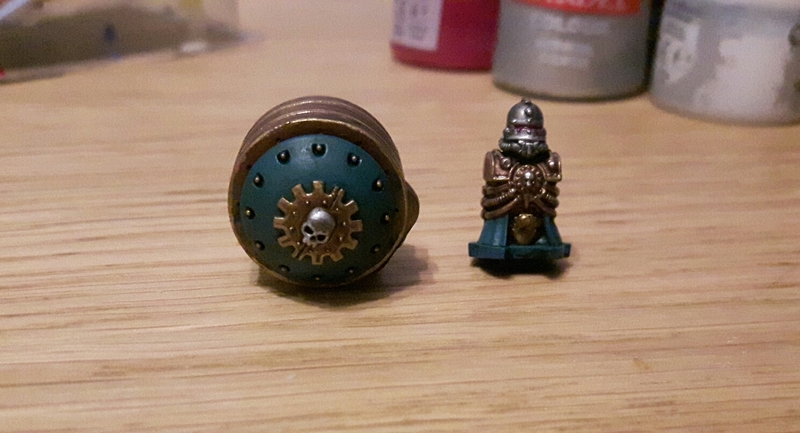 For the colour scheme I'll be using my usual Skitarii scheme which you may have seen here. It's an attractive (if I do say so myself) combination of deep green and bright pink; with plenty of metallic thrown in for good measure. They are armoured cyborgs after all! Complete! Turret gunner and....whatever that thing is. Mostly, I'm just delighted to have finished some of the bits (even if they are tiny!) Hopefully finishing a part at a time will give me the motivation to push through and get this thing finished. Check in next week to find out if I've rocketed ahead with the painting or if it's slow going. Right now the motivation is high and I feel like I'm on a roll. Oh, and if you're interested, you can check out my intro post for Dreadtober here.